The Goblet of Fire is J.K. Rowling's 4th book in her Harry Potter series. Like all the preceding books, this book will be the reason children of all ages will again be turning off the computer, turning off the television and coming home from work early. Yes, that's right, all to read an 800 page book and discuss it with their friends and work colleagues the next day! By now, Harry Potter is a well established icon. The hero boy wizard with the unfortunate past is determined to live a happy life despite all the sadness. If only! With the shadow of Lord Voldemort ever present Harry and his friends are always keenly aware of the malevolent influence on both people and events, Voldemort's overweening drive for power continues unabated. The Goblet Of Fire actually begins with begins with the death of the three Riddle characters in mysterious circumstances. Quickly, the gardener Frank Bryce becomes the main suspect in Little Hangleton but, strangely, as there were no obvious signs or causes of death, it seemed as though the Riddle's had been "frightened to death". There was then much talk and "scuttlebutt" amongst the townsfolk. After Bryce was exonerated of the deaths he unexpectedly stayed on as gardener. But he eventually became unable to carry out his tasks due to his advancing years. Added to this was the fact that the wealthy owners didn't actually stay in the Riddle house but elsewhere. The Riddle house soon fell into disrepair and "weeds and young boys" became Frank Bryce's new enemy. I think we all know of a place like that in our youth. We had a cottage several houses down the street where on old lady lived. We were convinced she was a witch. Her name was Old Annie and she scared the "bejesus" out of us just going near her. Of course that was our childish imagination but I have never forgotten her to this day! "Step aside Wormtail, and let me give our guest a proper greeting...Avada Kedavra!!!" 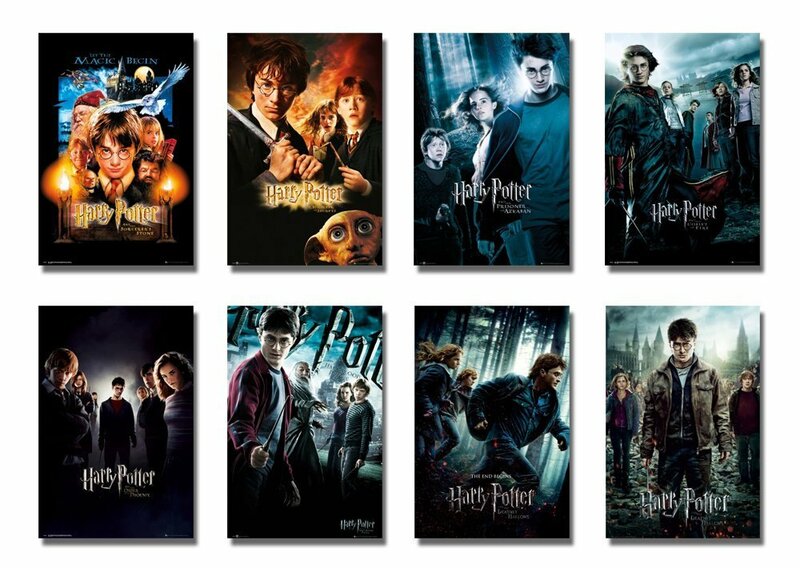 If you're familiar with both the books and the movies you'll notice there is a lot of difference between the two. For example, there is much detail in the Frank Bryce scene that lets the reader know why Bertha Jorkins "had to be killed" and why Wormtail was picked to do a job that others would "give their right hand for". Although this may annoy some people I think Steve Kloves has done a great job in adapting the material for the movie. Indeed, J.K. Rowling herself seemed happy with the adaptation otherwise she wouldn't have let the movies go ahead. If you can deal with the differences between book and movie then I think you'll enjoy both. And there is much to like in both! The great drama of the "Triwizard Tournament" with the competing schools of Hogwarts, Durmstrang and Beauxbatons keeps our interest even when we know there are other, more important, plot developments advancing in the background. As the producer of the Harry Potter films David Heyman once said, "The characters are everything". In the Goblet of Fire the characters are again fantastic, dramatic and totally absorbing. For example, we're introduced to Mad Eye Moody, a former auror (dark wizard catcher) who, according to Ron, is... "Brilliant...completely demented of course and terrifying to be in the same room with...but he's really been there, looked evil in the eye." We find out though that it's not the real Moody we're introduced to but an imposter using polyjuice potion to impersonate him, namely: Barty Crouch Junior. Barty Crouch Junior is the son of Bartemius Crouch Senior, the inflexible and unbending head of the Department of International Magical Cooperation in the Ministry of Magic. He had to imprison his own son for being a Death Eater. Although, in the book he lets him escape from Azkaban as long as he stays out of sight and uses an invisibility cloak. Karkarov, high master of the Durmstrang School is another interesting character throughout the book. Unluckily he comes to a "sticky end" but before that had somewhat redeemed himself after being a "Death Eater". He spent time in Azkaban for it and, in the movie, earns his release after giving up the name of "Barty Crouch...Junior!" to the inquiry, overseen by Barty Crouch Senior. It's a great scene in the Goblet of Fire movie when Mad Eye Moody hits Barty Crouch Junior with a spell as he tries to leave the inquiry and is brought before his father who disowns his own son there and then in public. Barty Crouch Junior is excellently portrayed by David Tennant. Not only are there new and great characters in the Goblet of Fire but there's also great action scenes with incredible creatures. For instance, in the first "Challenge" that Harry and the other Triwizard Champions have to face, is to retrieve a golden egg that is guarded by a fierce Dragon. Harry, under the guidance of Alastor Moody, makes use of his wand and the "Accio" charm to summon his Firebolt broom. Luckily for Harry as it's a pretty close run thing even with the use of the broom. In the second task we see the Champions underwater in the lake where the Merpeople live. Something "precious" has been taken from each champion in the form a human. Ron has been taken for Harry, Hermione for Viktor Krum, Cho Chang for Cedric Diggory whilst Fleur's sister has been taken too. The Merpeople are strange and fearsome looking aquatic creatures that become aggressive when Harry tries to remove some of the other ransomed people after he rescues Ron. Although Harry doesn't understand they would've been freed at the end of the contest but because he showed bravery and "moral fiber" he was awarded extra points and so places second behind Cedric Diggory in this particular contest. The climax of the Goblet of Fire is the third task - the maze! The maze is a strange and enchanted place where all manner of obstacles have been placed in the Champions way. Barty Crouch Junior, still disguised as Mad Eye Moody, uses his "mad eye" to keep Harry out of trouble so he can win the cup. Crouch has tampered with cup and has turned it into a port key that will take Harry to Little Hangleton graveyard where Lord Voldemort and Wormtail await. Although Harry does confront real dangers in the form of an Acromantula, a Boggart disguised as a Dementor and even a strange golden mist which turns everything upside down. Crouch is still able to make sure Harry is able to navigate his way to the cup and so is transported, as planned, to the graveyard. What Crouch didn't count on is that Diggory was also transported to the graveyard with Harry. But Diggory is dealt with summarily and mercilessly, to Harry's horror. With Diggory out of the way Wormtail uses Voldemort's wand to secure Harry on the gravestone of Voldemort's father, Tom Riddle. He then proceeds to perform an age-old magical but evil ritual that manifests Voldemort's physical body once more. I remember thinking whilst watching the movie version of the Goblet of fire that this scene in particular was very, very dark. It had moved way beyond the first two films and books which were more suited to children. This had certainly moved on from there. The feeling was palpable and uncomfortable. There is something both repellent, yet strangely seductive about that level of power. You can see why leaders of the past such as Napoleon, Stalin and Hitler have fallen for that dark side. I think the idea that Rowling tries to get across, through different characters like Dumbledore and Sirius Black, is a very valid one for us humans – we're all born with "dark and light" qualities but more importantly it's our choices in life that define us. The Goblet of fire is another of J.K. Rowling's Harry Potter stories that are both stimulating and satisfying but beyond that it gives us excellent life lessons for proper and successful relationships. The Goblet Of Fire ia a must read and watch!